Ipswich, MA, USA and Norwich, UK (June 7th, 2017) – In its mission to tackle global challenges through life science research, the Earlham Institute (Norwich, UK) faces unique problems raised through the sheer breadth of biological samples that it works with. Samples that the institute processes can come from any number of species of plant, animal, or microbial organism. For certain plant species, this can be particularly challenging due to the inherent nature of nucleic acids that are extracted, specifically RNA that is used for next-generation sequencing applications. Processing these samples has been problematic, and commercially available approaches have fallen short of producing high quality libraries from particular species, thus limiting scientists’ ability to study them fully. New England Biolabs (Ipswich, MA) had these specific challenges in mind when they were developing the recently released NEBNext® Ultra™ II Directional RNA Library Prep Kit for Illumina® sequencing. “Speaking with scientists around the world, one of the consistent messages we received was that RNA samples continue to present challenges for next generation sequencing analysis in being of extremely low input, and highly sensitive to the variety of contaminants derived from both the organisms themselves, but also the wide range of approaches used to extract RNA from cells”, stated Fiona Stewart, Ph.D., NEBNext Product Portfolio Manager for New England Biolabs. 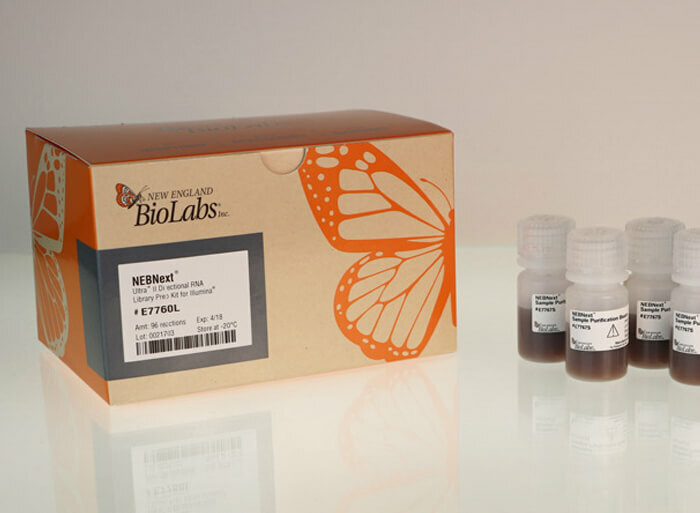 The NEBNext Ultra II Directional RNA kit is capable of producing high quality libraries across a broad range of RNA inputs, from 5 ng up to 1 µg of total RNA, and is compatible with ribosomal RNA (rRNA) depletion or poly(A) enrichment. The Institute is currently in the process of transferring the protocol to their production portfolio as part of the BBSRC National Capability in Genomics and Single-Cell Analysis.